The double sided EDIsecure XID9300 Retransfer printer offers high quality, similar to the quality you get from offset printing. Uneven card surfaces are not a problem for the XID9300. The XID9300 can achieve the same printing speeds (120 cards an hour) as its smaller cousin the XID8300 but can hold up to 300 cards instead of 200 cards and it can also print onto thicker PVC card. The XID9300 is very popular for printing name tags. To connect the Matica XID9300 to a PC the USB and Ethernet interfaces are available as a standard. Retransfer over-the-edge printing technology allows for optimal clarity and security. Sharp, crystal-clear colors that cover the entire card surface and optional ultraviolet invisible security printing make XID9300 the ultimate solution for the most demanding printing tasks. It allows a full range of design options from professional to creative that capture the individuality and quality of your brand or organization. Becoming more and more popular is the demand for thick plastic name tags. The XID9300 is one of the best and few printers in the market that is able to print onto the name tag cards without constant card jams. Professional looking name tags are simple to produce using the XID9300. The print engine is based on a metal frame chassis, hence it is a very solid and precise printing module. 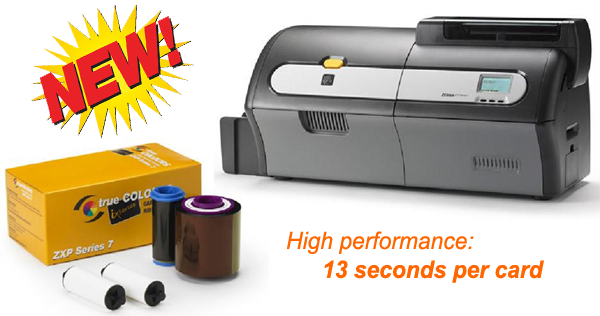 The XID9300 fit into any industrial, high printing environment. 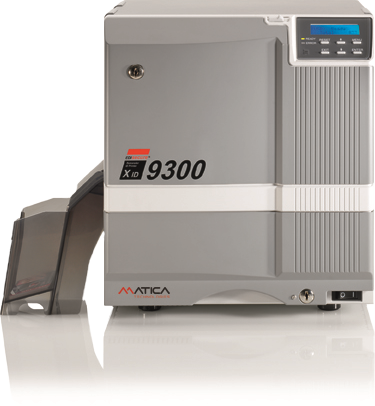 As all retransfer printers from Matica Technologies, the XID9300 comes with a life time warranty for the print head when using the proper consumables from Matica. For more information about the XID9300 and the PVC card printer price please contact our offices. Matica XID9300 Retransfer Card Printers come with a global 2 years warranty. Unicard will support all your Matica XID9300 spare parts and servicing.